Still thinking about ordering a next-generation console? How about putting that money towards a PC graphics card with oodles more power. Why play games at a native 720p or 900p when cards such as the GeForce GTX 780 or Radeon R9 290 can provide arguably superior visuals at a 1440p (2,560x1,440) resolution? And if you're going to go the whole nine yards and look at the very best card on the market, set your sights no further than the GeForce GTX 780 Ti. The reference model is the fastest single-GPU card we've come across, but the underlying GPU can be made even quicker when in the hands of add-in board partners who know what they're doing. The initial raft of overclocked GTX 780 Tis arrive in retail form in two ways: with nary a sticker to differentiate them from reference, or with custom coolers previously used on other high-end Nvidia GPUs. 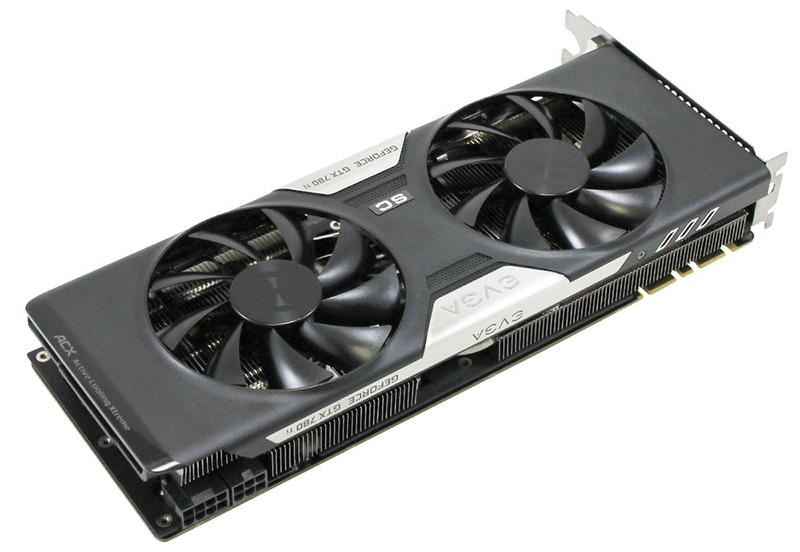 Time to market is a huge concern during the holiday period and, as such, all shipping GTX 780 Tis share the same PCB. The difference between partner cards is the cooling employed along with frequencies they're willing to guarantee. Nvidia stalwart EVGA has three GTX 780 Ti cards in the current line-up: standard, Superclocked (with reference cooler), and Superclocked with the rather good ACX cooler that we first saw on the regular GTX 780 card back in May. This SC ACX takes the same approach as the regular GTX 780, that is, bolting the EVGA-developed heatsink on to a reference PCB. The purpose is to enable a higher core frequency together with lower thermals and noise. So how does EVGA do on this front, you may ask? The card runs at a minimum frequency of 1,006MHz, rising to an average 1,072MHz under gaming load. Compare this with the 876/928MHz prescribed for the already-fast reference card and you know the SC ACX is going to be rather quick, though the EVGA's frequencies are a touch lower than Gigabyte's 1,020/1,085MHz for its own OC offering. EVGA, like Gigabyte, leaves the memory speed at an effective 7,000MHz, meaning that while ludicrously fast in comparison to most other single-GPU cards, it will likely benchmark just behind its competitor we reviewed recently. EVGA is readying a fully-custom Classified version, primed for sky-high frequencies when overclocked, and it should be available just before Christmas. Weighing in at almost a kilo and measuring 10.5in from tip to toe, we like that EVGA hasn't gone overboard with the cooling; this remains a dual-slot card that will fit into most systems. Two 9cm fans sit on a two-piece heatsink that's connected via five heatpipes. A metal frame provides suitable rigidity to the card and also cools the memory chips and voltage components, and while the fit and finish is excellent - no sharp edges anywhere - we still prefer the classy look and feel of the reference heatsink. Power is sourced from 6+8-pin connectors, with EVGA recommending an 800W-plus PSU equipped with at least 42A on the 12V rail(s). Multi-GPU usage goes all the way up to four cards with the latest drivers. 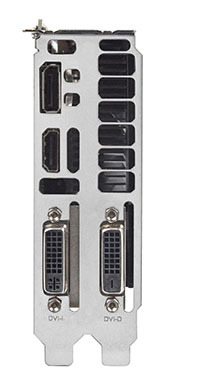 EVGA sticks to the reference outputs - DVI-D, DVI-I, DisplayPort and HDMI - but has a custom backplane that, the company has previously said, enables better exhausting of hot air. We're not sure how much of a vent is needed on the back in view of the open-air design, however. 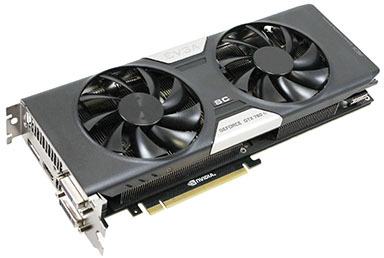 Standard, reference GTX 780 Tis are currently shipping for some £550. Overclocked cards, such as the EVGA SC ACX, arrive with a £50 premium. 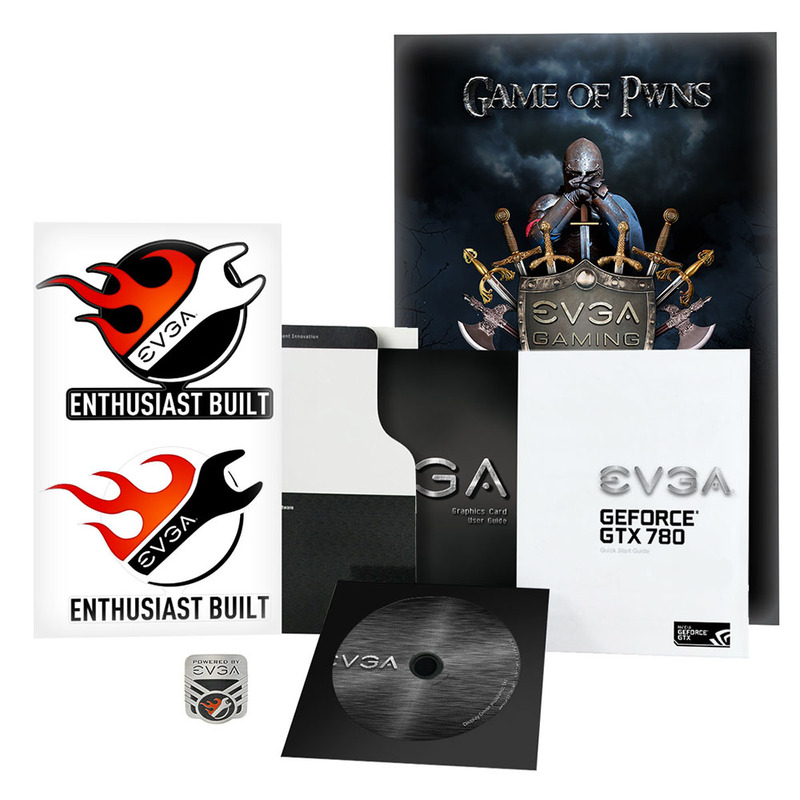 EVGA, though, does have a couple of tricks up its sleeve to tempt buyers. The card is covered by a three-year warranty, up from the usual two, and we genuinely appreciate the fact that the warranty is transferrable if the card is sold on. On top of the three gaming titles supplied by Nvidia - Batman Arkham Origins, Assassin's Creed IV Black Flag, and Splinter Cell Blacklist - EVGA bundles in three games of its own: Deadfall Adventures, Painkiller Hell and Damnation, and Rise of the Triad for free. A high core clock and proven cooler lay solid foundations for EVGA's Superclocked ACX graphics card. Let's now find out if it can leap to the top of the performance charts.